Sunshine and some clouds. High near 65F. 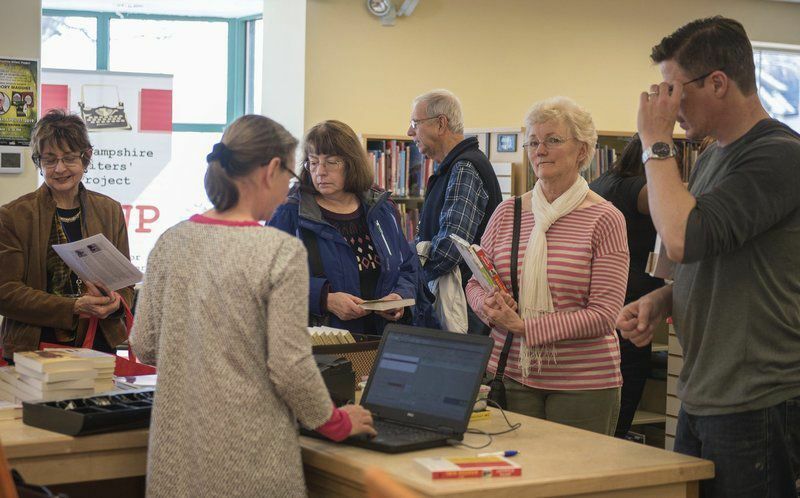 Winds WNW at 5 to 10 mph..
AMANDA SABGA/Staff photoGuests purchase books during Derry Public Library's annual Author Fest. 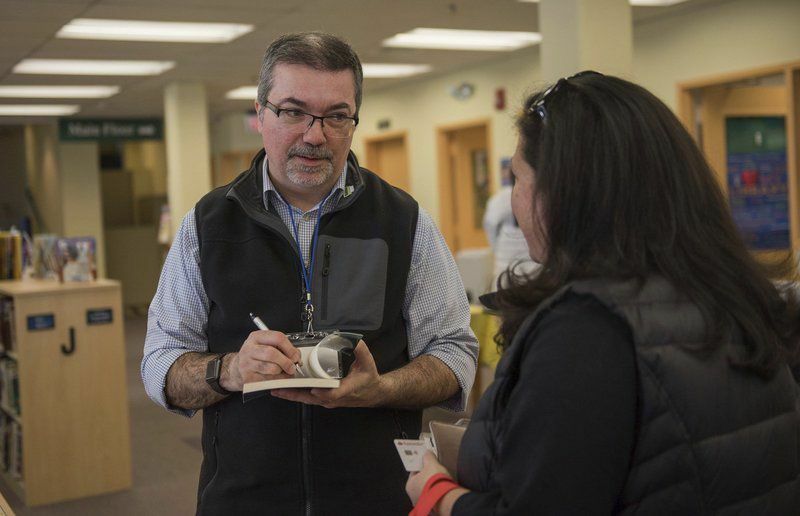 AMANDA SABGA/Staff photoAuthor Dan Szczesny signs a copy of one of his books for Melissa Diorio of Derry during the recent Author Fest at Derry Public Library. AMANDA SABGA/Staff photoAuthor Ceara Comeau poses with her books at Derry Public Library's annual Author Fest held April 6. AMANDA SABGA/Staff photoAspiring authors Sammy Whitaker, 11, left, and Aidan Manuse get their books signed by author Anita Diamant during Derry Public Library's annual Author Fest. AMANDA SABGA/Staff photoAuthor Anita Diamant signs autographs at Derry Public Library's annual Author Fest. AMANDA SABGA/Staff photoLorin Rees, of the Rees Literary Agency, gives a crash course during the Derry Public Library’s annual Author Fest. DERRY — It was a day filled with ideas, creative energy and a lot of support from industry professionals who know how to pen a good story. And writers and authors from the region enjoyed hearing from the experts about how it’s done. Derry Public Library hosted its annual Author Fest last Saturday. With the theme “A Touch of Technique,” visiting authors shared their stories and personal anecdotes about their own writing journeys and how they marketed and published their works. The day included workshops, panels and networking for aspiring authors and those who just dabble on stories and books. Between workshops, authors took time to meet people and sign copies of their books. This year Author Fest speakers included New York Times best-selling writer Anita Diamant, author of “The Red Tent,” and “The Boston Girl.” Other guests include Lorin Rees of the Rees Literary Agency; Jenna Russell of the Boston Globe, and others.